In this close-knit Amish family, nothing is as perfect as it seems . . . When Viola Keim starts working at a nearby Mennonite retirement home, she strikes up an unlikely friendship with resident Atle, whose only living relative, son Edward, is living as a missionary in Nicaragua. Viola understands the importance of mission work, but she can't imagine leaving her father in the hands of strangers. 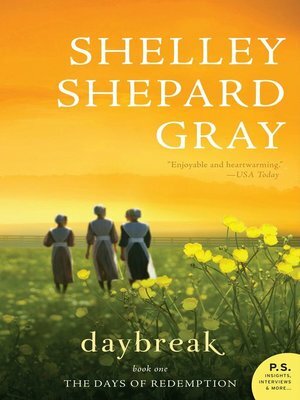 Even though her family is New Order Amish, it's not the Amish way, and though she doesn't know Ed, she judges him for abandoning his father. But when Ed surprises his father with a visit, Viola and Ed both discover an attraction they never expected. Despite her feelings, choosing Ed would mean moving to a far-off country and leaving her family behind. She can't do that. Her twin sister, Elsie, is going blind and will need someone to care for her all her life. Her family is reeling with the recent discovery that her grandmother hid her past as an Englischer. Her father seems forgetful and distracted--and to be harboring some secrets of his own. Does Viola dare leave them all behind and forge her own life? Or will family ties mean her one chance at love slips away?